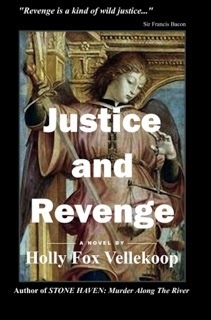 On Wednesday, December 11, Holly Fox Vellekoop will be doing a presentation on her book “Justice and Revenge” to Brandeis University. The luncheon event will be held at the Holiday Inn in Viera and will begin at 11:30 am. Holly will be discussing how she came up with the concept for the book, the creative process of her writing and the perception of justice and revenge in sub-cultures and communities. 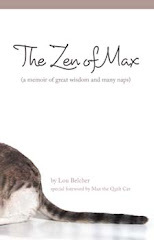 Holly retired as a Clinical Instructor in Psychiatric and Mental Health Nursing for Penn State University and has published five books, in the genres of murder mystery, science fiction, intrigue, and also nonfiction. Holly is also announcing that the Senior Life News section of the Daily Item, Sunbury, Pennsylvania has contracted to publish her column, “Dear Gramma.” The column is also published locally in the Senior Life Newspaper. Holly is a member of the Space Coast Writers Guild, Cape Canaveral Pen Women, Authors For Authors, and the Creative Artists Foundation of Brevard. Visit Holly's website at www.hollyfoxvellekoop.com.